When I was in college, my choice of footwear was high top Converse tennis shoes. I had pairs in multiple colors. 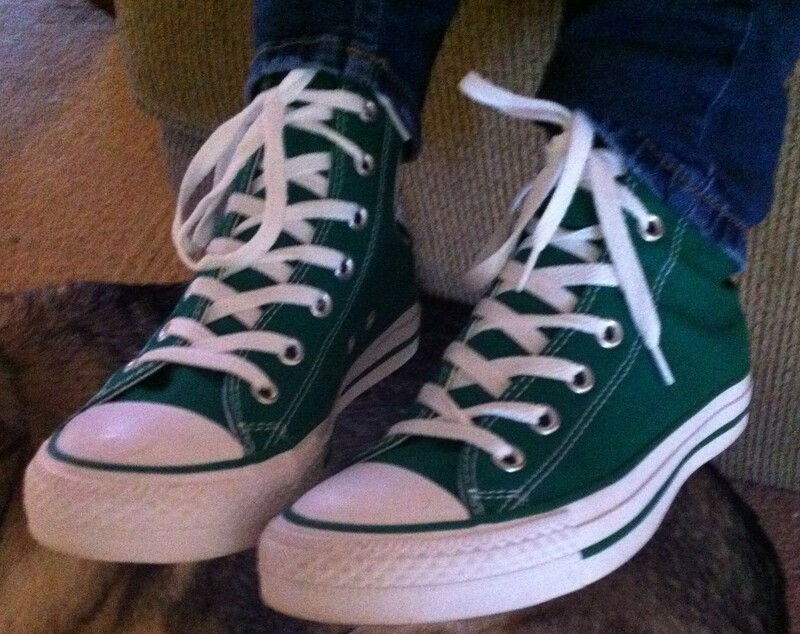 My son started wearing Converse in high school, and my daughter got her first pair last spring. With all the changes in style and technology in the past 30 years, there is something incredibly comforting in seeing my kids sporting the same fashion I did when I was younger. Posted on December 27, 2013, in Family, My life, perspective and tagged 365 reasons to smile, Converse, Family, fashion, life, musings, perspective, style. Bookmark the permalink. 20 Comments.